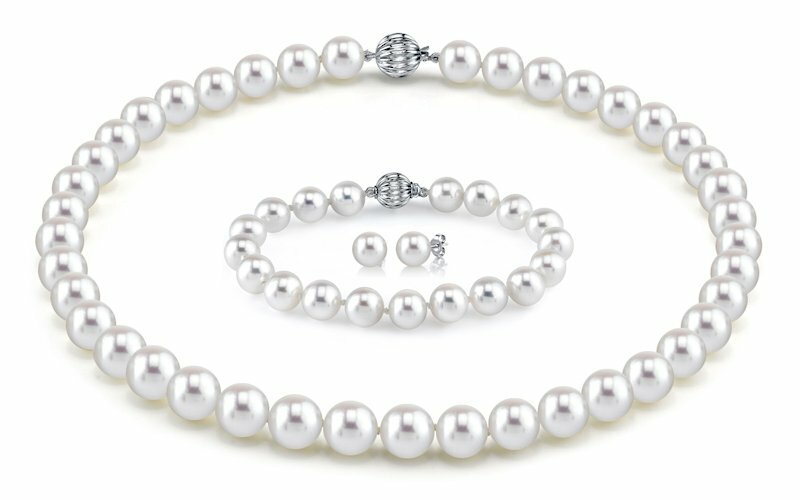 Here at The Pearl Source, we offer pearl jewelry sets featuring real cultured pearls with top quality gold. Our pearl sets are just the right gift for that special someone in your life. We offer pearl jewelry sets that come with pearl necklace and pearl earrings combinations or full sets which also include pearl bracelets. When buying a set of pearls together with other jewelry pieces, rest assured that all the pieces will match in pearl size, pearl color, and pearl quality. We will also affix the same clasp on your pearl bracelet that we place on your pearl necklace. This makes for a hassle-free shopping and pearl gift buying experience. If you have any questions on our pearl product assortment, please feel free to email us. Or, call us at (866) 877-3275.